Are Bitters Safe for Pregnant Women? - Hartke Is Online! In one paragraph the use of Swedish Bitters is encouraged. Great! But in the same paragraph it says to avoid Angelica which is an ingredient in Swedish Bitters. I’m confused. One part of me wants the Swedish Bitters because I think it’s helping, but the other part of me doesn’t want to accidentally abort any babies! Thank you in advance for the help! This is one thing I feel I need to be sure about. It has just been pointed out to us that Swedish Bitters contain Angelica and Gentian, both of which are contraindicated for pregnant women. So please don’t take Swedish Bitters while pregnant. We will make a change to the book in the next printing. However, Swedish Bitters is a fine product to take while not pregnant to enhance digestion, particularly digestion of fats and oils. Pregnant women with digestion problems might want to employ fermented foods, such as kefir, yogurt, sauerkraut, beet kvass, any ferment will help. Even vinegar in water. By the way, the book has sold beyond our wildest expectations. We are almost out of our initial printing of 20,000 books. We are scrambling to reprint, but there will be a few weeks when it will be “Out of Stock,” at least from online booksellers like Amazon. If your readers need to obtain a book during this time, they should try a traditional bookstore, or order from NewTrends Publishing, newtrendspublishing.com. We still have considerable stock at NewTrends. The new print run will be available in early April. Readers, I consulted and asked a Bitters company Urban Moonshine, “are bitters safe for pregnant women?” Their chief herbalist, Guido Mase had this to say about the reasons why pregnant women should avoid these bitter herbs. The marketing director of Urban Moonshine referred me a new book by Guido Mase. Guido is also the Co-Director for the Vermont Center for Integrative Herbalism. for more information about Bitters and Health see the section starting on page 132 of this online preview of the book: Wild Medicine Solution. 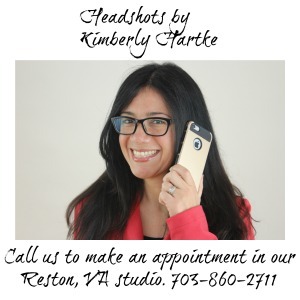 Kimberly Hartke is a featured blogger with Village Green Network. So pregnant women should probably go with the ox bile? Is there any other supplement to aid in the digestion of fats and oils? Gaia herb’s Sweetish Bitters do not contain these two herbs.